Winter loth to loose her hold tho’ far on the wane. Friday’s giftings of Loving and Giving upon her were showered. Living for others, the whole day long. ‘Friday’s Child’ almost certainly refers to Rene, May’s elder daughter, whose birthday was on a Friday in early spring. 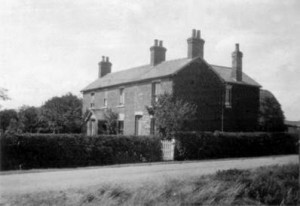 May, whose health was fragile, relied very much on Rene’s support including help with the weekly washday. A “prisoner of war” in Alien hands. My misery, and sorely wounded pride too deep for tears or words. I sit and watch their reinforcements landing on my native soil. And sail away in a prison ship to a prison camp. Receding from my sight for many a day. And haply may engulf thee in its tide. Has fallen on me, body and soul are one great mound of poignant misery. I watch the conquering foe come in. Lost hopes, lost battle and most bitter blow, lost liberty. My cup of woe is full, I live not, but endure. 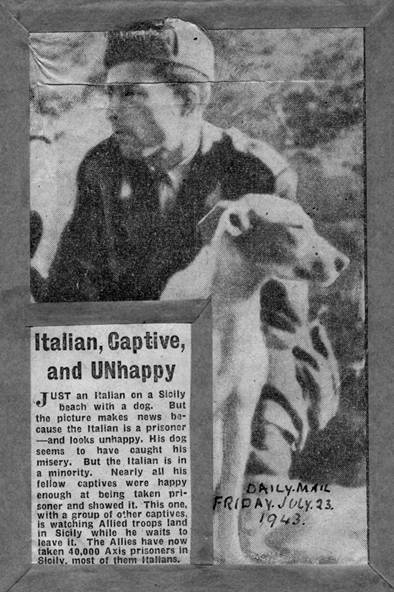 ‘Italian, Captive and UNhappy’ in the Daily Mail, Friday July 23rd 1943. Following their victorious North African campaign, the Allies had turned their attention to Italy. 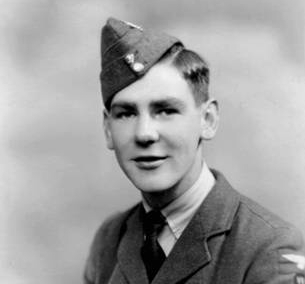 May’s son Ron was amongst many RAF and other military personnel who were transferred from North Africa to Italy. ‘The Captive’, an original draft, was inspired by an item ‘Italian, Captive and UNhappy’ in the Daily Mail, Friday July 23rd 1943. Hearing the ’planes pass overhead. While others hovered round about. A score to them from Britain went. And we for justice hard must smite. They come between me and my prayers. Than theirs in all the world’s great strife? Oh leave me with my loved ones still. Oh send death swiftly Lord I cry. Not knowing Jesus was not there. But died the victims of the strong. Fighting for right or on our knees. The way to life by them was paved. Then died to save the world from strife. And yet He died upon the tree. To live in peace and not by sword. After this time of sin and pain. And God the Trinity confess. 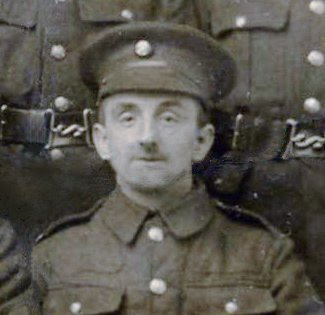 The poem as above appeared to be a draft and no re-written version has been found. The lower part of the double-sheet was damaged, so that the words shown in parentheses are a suggestion and two lines (……….) towards the end could not be deciphered. 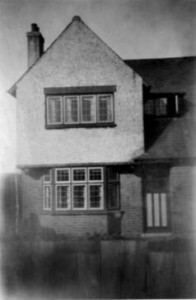 More news of Ron’s whereabouts did emerge during August although May did not write in her Diary until the later part of the month. That divides the daisied lawn. Hasting to be within the lamp-lit circle round the hearth. With no dark curtain ’twixt us and the silver moon and the radiant stars. Then, gallantly died that we might continue to live. Free from the fear of a foreign yoke or a dreadful prison camp. 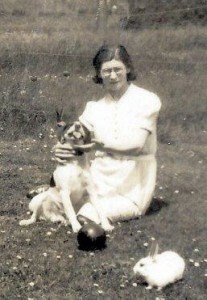 The initials following the date of Easter Sunday 1943 appeared to be ‘K.H.’ although not entirely certain. 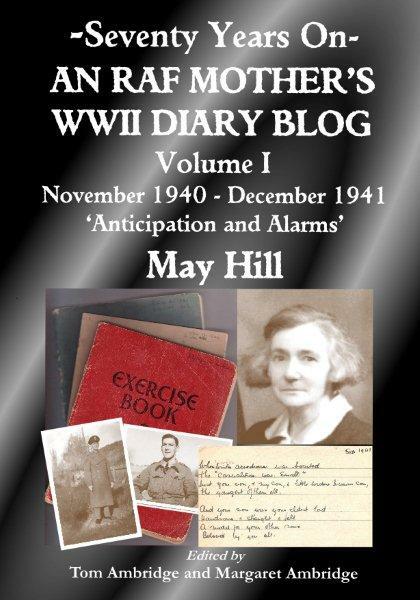 This may have been written as a tribute to Kenneth (Ken) Hill who had been reported missing in action (see 1 Jan. 1943).The son of Will’s brother James (Jim) and widow Grace, he had been a sergeant wireless operator/air-gunner on a Wellington bomber (38 Squadron) lost between 14th and 15th December 1942, aged 19. 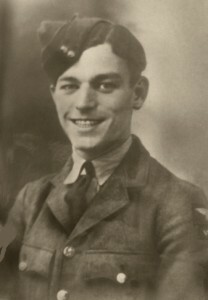 His Squadron was the same as that of his cousin, Tony (see 28 Jan. 1943), who had been lost earlier (in 1940) before it was relocated to the Near East. Ken would have been remembered in the Easter Sunday service. 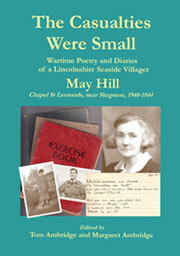 He is named on memorials in Alamein (Egypt) and in Chapel St Leonards. Some of the above information is from the Commonwealth War Graves Commission Casualty Register. Beautiful things I remember between sunset and dark. These beautiful things I remember in the afterglow of twilight. Box of spikenard, broken and poured abroad in extravagant richness. The “sleep song” of a babe in its cot in a quiet darkened room. Banks of white mist that presage tomorrow’s hot day. Having to trust the call of this shingled, naked, dawn. The quick-silver song of the blackbird as he serenades his mate. Of notes that descend like a sun kissed waterfall. Although this poem ‘Afterglow’ was undated it is probable that May wrote it very shortly after writing the poem ‘In a Foreign Land N.A [North Africa]‘. 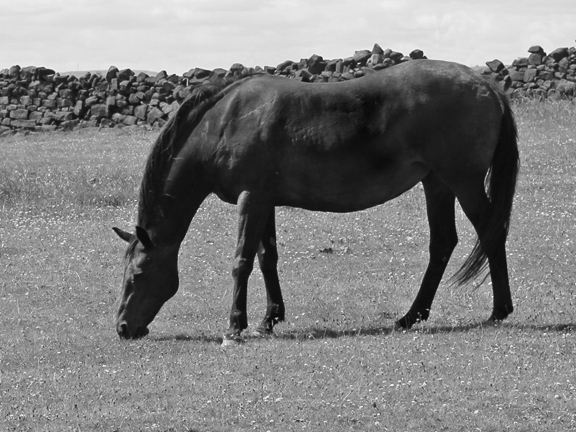 She was perhaps inspired by the onset of the spring season, imagining the thoughts that she would be having if, like Ron, she was far from home.